WiFi 2/br 1/ba. W/D, dishwasher. 2/10 mile walk to beach. Non smoking/No pets. Sleeps 6 max. Searching for that special place for your family vacation… the way it used to be when you were a kid? 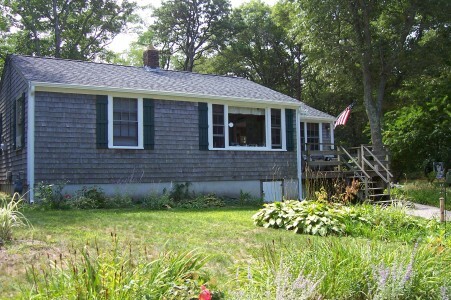 Our lovingly renovated cottage is tucked away on a quiet sandy lane near Ellis Landing Beach. Restaurants, shopping, market and beach are all well within walking distance - even for little feet. 1 queen, 4 twin (bunkbeds), outdoor shower, grill, 2 beach chairs, cooler, beach cart, full kitchen, dishwasher, cable tv, DVD player, W/D, books & games. Beach - both public & private access w/in 10 min walk. Restaurants, atm, art gallery, antiques, convenience store within a 15 minute walk. Biketrail access nearby. No smoking, no pets and linens are not provided. Rates: $1950/week in season. Call for shoulder season rates. Please email/call for availablility or use weblink for calendar.